DateEmptyContent: Sets the value of the empty content of the Selected Value. 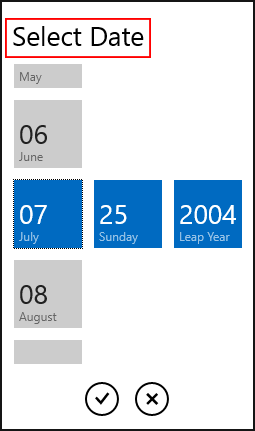 DateSelectorHeader: Sets the value the header displayed in the Selector Popup of RadDatePicker control. LeapYear: Sets the string value of the year list in the Date Selector. TimeEmptyContent: Sets the value of the empty content of the Selected Value. 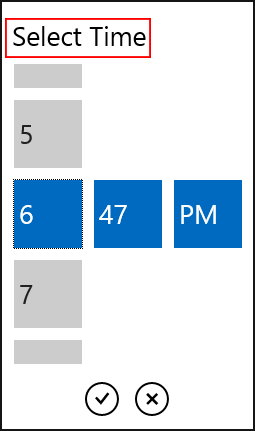 TimeSelectorHeader: Sets the value the header displayed in the Selector Popup of RadTimePicker control.